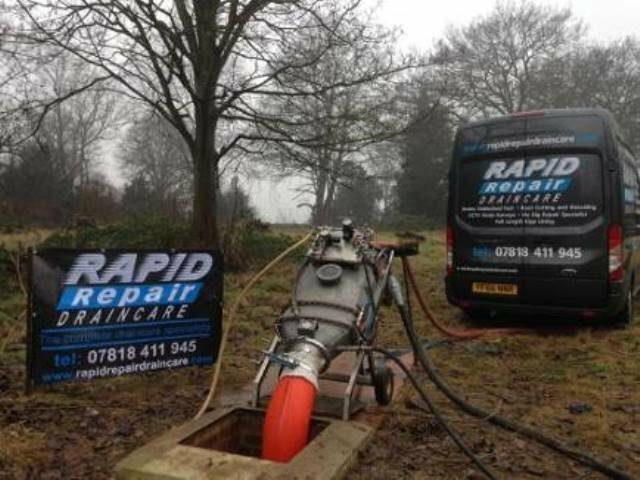 Rapid Repair Drain Care offers a wide range of drainage services and repairs. Fully qualified and fully equipped to provide both domestic and commercial drainage solutions all over Yorkshire. 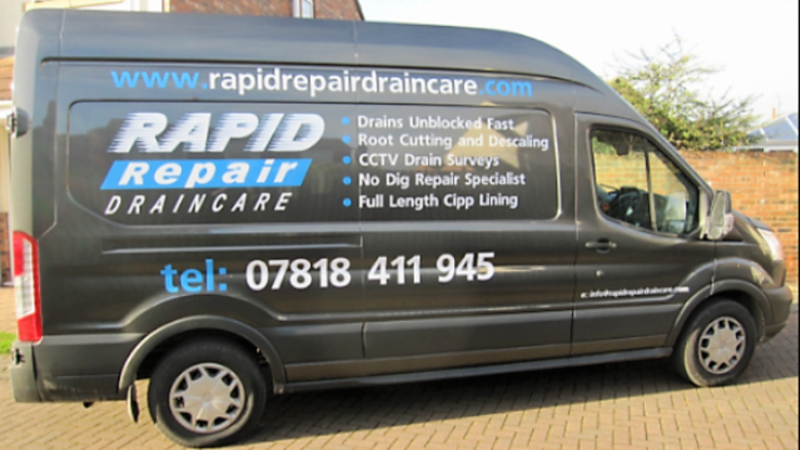 Simon from Rapid Repair Draincare came to clear a blocked drain in our garden. The work was completed quickly and very efficiently. I was also given useful advice on preventing the problem. Simon was polite and helpful and I thoroughly recommend the company. I can highly recommend Rapid Repair Drain Care. Apart from being thoroughly fast and effective at unblocking my gutter downpipe at a great price you couldn’t wish to meet a nicer, more helpful tradesman than Simon Keenlyside. Prompt, efficient and friendly - job done! Simon arrived at 8am on the dot and sent a text 20 mins before his arrival. He got on with the job straight away and was willing to explain what was going on throughout. A friendly manner goes a long way with me and he was certainly an engaging character. The job was completed within 45 minutes and the price was pleasantly alot less than expected. Thoroughly satisfied customer. Unblocked drain. Very polite and very helpful. Also cleaned up and left everything spotless. Would recommend without a doubt. Called Simon regarding a blocked drain and rodent ingress. Responded immediately and performed a drain survey the next day. He unblocked the drain and arranged to quote and return to perform additional work asap. The quote was provided rapidly and work performed at our earliest convenience to a high standard. Would highly recommend Rapid Drain Care. I had two rain gullys replaced and a CCTV survey. The work was carried out promptly and professionally and helpful communication during the work. I called Simon due to a suspected drain leak, explained I was having a floor fitted the following day & he managed to fit me in at the end of his long day, he returned the following day with CCTV cameras. Thankfully nothing major found, just required flushing some ground silt through. Happy to recommend. Thanks again Simon. I had problems with blocked toilet that won't go away. Tried other services, but they were unable to resolve the problem. Finally we had Rapid Repair Draincare. Simon arrived Friday afternoon. After a quick survey, he was unable to find the source of the problem. Simon promised to return Saturday first thing in the morning with all this gear to survey the drains. Next day, Simon arrived as promised. He did the survey with his camera and soon found the source of the problem and the manhole. With the jet wash, the leaves that blocked the pipes are washed away. Very efficient and professional guy, kept me informed of the problems and solutions. Thanks to Simon, I have a working toilet. Blocked main drain Saturday morning. Phoned Rapid Repair 10:13, arrived within 2hrs as promised. Simon (owner) embodies the term "competent person" having the knowledge, skill and experience. His confident and cheerful manner is reassuring. He cleared the blockage using a pressure jet and then used a camera to survey his work and the condition of the drain. This was all part of his standard charge unlike other companies who consider such check as an additional service. This was a good move as it identified ingress of tree roots growth through cracks plus some blobs of mortar from the original construction (from the 1920's - cause of recurring problems). Simon offered an additional, charged service to remove the roots. I accepted this very reasonable charge and he used a cutting attachment to remove the roots. He then put considerable effort in to remove the mortar blobs (I wasn't expecting this) making the pipe the clearest it's ever been. Simon quoted for relining the pipe at a future appointment to repair cracks and prevent further ingress of roots to the drain. Observing Simon shows he takes pride in doing good work; a thoroughly good bloke. 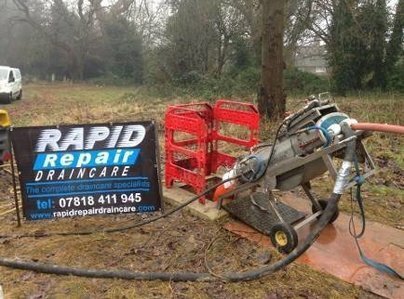 I've used other companies but none come anywhere near to the standard of Rapid Repair Draincare. PS. He'll show you the camera image - if you've the stomach for full "motion" footage!